Before heading out, check weather conditions. It’s best not to go out in rough seas. Dumping trash at sea is illegal; plastic bags and other debris scan injure or kill marine animals. Try to retrieve fishing gear and equipment, especially monofilament line. Use sewage pump out facilities and biodegradable bilge cleaner and never discharge bilge water at the reef. Florida Keys state waters are a No Discharge Zone for boater sewage. Use reef mooring buoys or anchor in sandy areas away from coral and seagrasses so that anchor, chain, and line do not contact or damage coral or seagrasses. Practice good seamanship and safe boating. Accidental boat groundings damage the reef. Consult tide and navigational charts and steer clear of shallow areas. Boat propellors can cause seagrass scars, damage coral and result in fines. Avoid reefs and seagrasses that appear brown; stay in white sandy areas. If you run aground: turn the engine off, and tilt it up if possible. Do not try to motor off. Wait until high tide to remove the vessel. Call for assistance when necessary. When in a dive area, slow down to an idle speed. Fishermen, do not troll over or near divers. 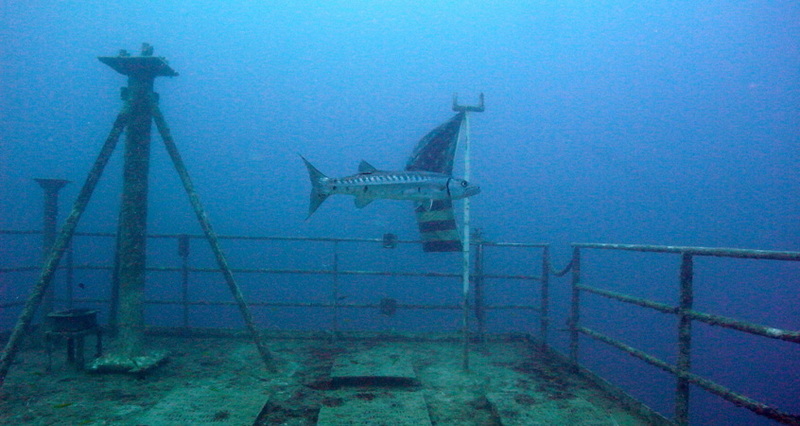 Stay at least 100 feet from a red and white diver down flag and watch for bubbles. Boaters, maintain safe distances from fishermen. Florida law requires a fishing license. Applicable size, bag limits, and seasons must be observed when harvesting seafood. Release all the fish you cannot eat and consult state and federal authorities for current regulations. Avoid wildlife disturbance; stay 100 yards or more offshore;keep speed, noise and wakes to a minimum near mangroves. Camping, campfires and collecting of any kind are prohibited on all National Wildlife Refuges.Personal watercraft and airboats are illegal in all National Parks and Wildlife Refuges in the Florida Keys. 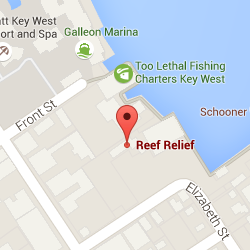 The Florida Keys National Marine Sanctuary is a marine protected area for Florida Keys coral reefs. A zoned management system is established with certain rules for special areas and regulations. For more information,contact the FKNMS at www.fknms.nos.noaa.gov, call (305) 809-4700, or visit the Nancy Foster Eco-Discovery Center, 33 East Quay Wall in Key West.